You may doubt that how to make charcoal from sawdust, and what we can do with the charcoal from sawdust. 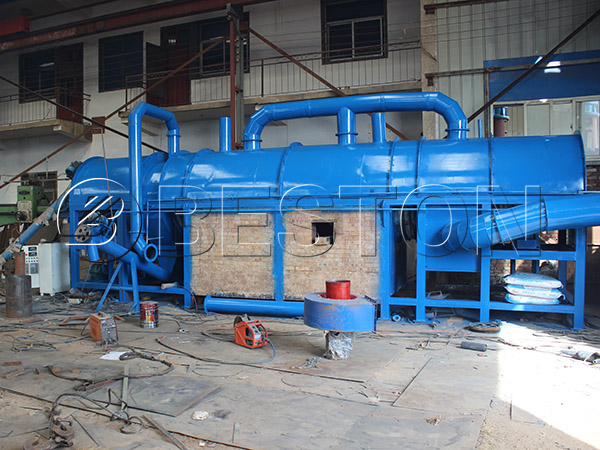 If you choose our sawdust carbonizing machine, you will figure it out. 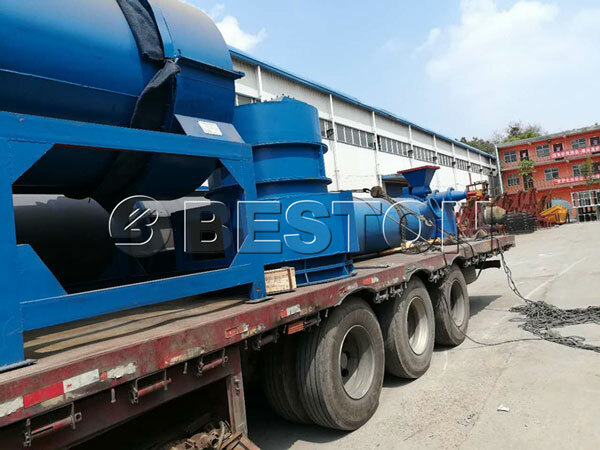 Beston always devote ourselves to develop the waste recycling technology, and try hard to turn waste to energy with latest technology. 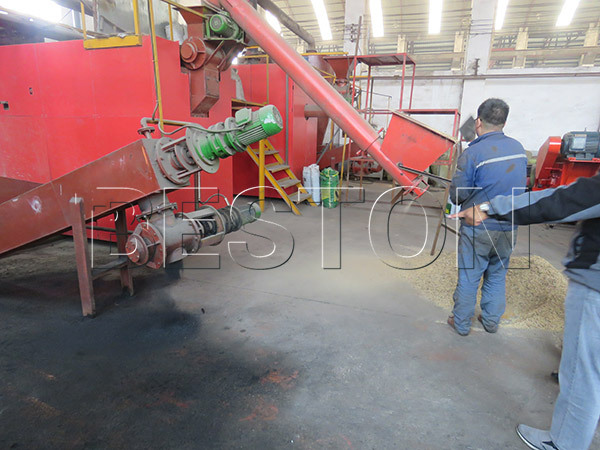 Our sawdust carbonization plant for sale process all kinds of biomass waste, such as sawdust, coconut shell, palm shell, straw, even the municipal solid waste, sewage sludge can be the raw material. It can help you get biomass charcoal through the sawdust carbonizing process, and here we will make a brief introduction of its working process. 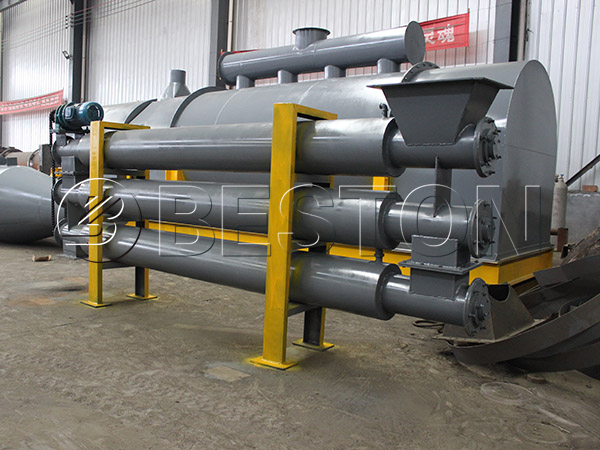 The sawdust is put into the carbonization host by quantitative feeder in a uniform speed, and the carbonization host is heated by the LPG, coal and other kinds of fuel. The preheating time is around 30 minutes. When the carbonization process starts, the combustible gas will be produced constantly, and it will go through the cyclone dust remover, spray dust collector and enter the condenser. When the combustible gas goes through the condenser, the wood tar and wood vinegar will be separated out. After this process, the combustible gas will be led out by the draft fan to heat the carbonization host. The sawdust charcoal will be discharged automatically when the temperature is around 30 degrees. You can also watch the following video to have a better understanding. After the completion of the sawdust carbonization process, you will get the sawdust charcoal, tar and wood vinegar. For the sawdust charcoal, it can be widely used in agriculture, industry and our daily life. 1. Agriculture: The charcoal from sawdust can be used to improve the soil quality and heat the green house. 2. Industry: It can not only be reprocessed into active carbon, but can also be used for construction bricks with clay. What’s more, it can be applied to generator to get electricity. 3. Daily Life: Sawdust charcoal is the best charcoal for BBQ. As for the wood vinegar and tar, they can be stored and sold as chemical raw material. 1. It adopts the double-layer design, which can make the lower part of the machine contact the hot air as much as possible. This special design can help improve the heat utilization efficiency. 2. It adopts the one fire two steps method which is unique in this field, and this method saves a lot of energy during the working process, and it can basically realize self-sufficient. Thus the carbonization cost reduces at the same time. 3. The models are various, so you can choose on the basis of the volume of the waste and the budget. 4. The security design of Beston sawdust carbonization plant is first-class. A. The temperature can be controlled by the control cabinet, thus the machine can run within a safe environment. B. The machine is equipped with the protective layer, which can protect the operators’ safety. C. The dust-removal device, gas cleaner system can ensure that the plant will not do harm to the environment. D. The sealing system can ensure that the sawdust carbonizaiton plant is working in a oxygen-free condition. 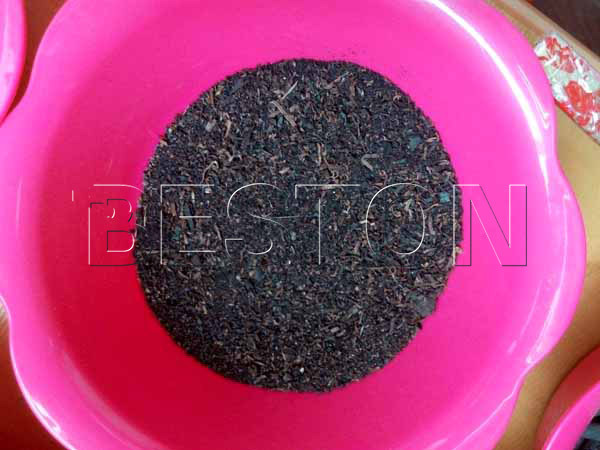 Making charcoal from sawdust is profitable if you choose Beston sawdust carbonization plant, and we can promise that you can enjoy the best service and high quality products.